I just wanted to take a few minutes to share a few new designs that I will be listing in my Etsy shop. I am always open design something new for you. These recent designs have come by way of my customer's request. 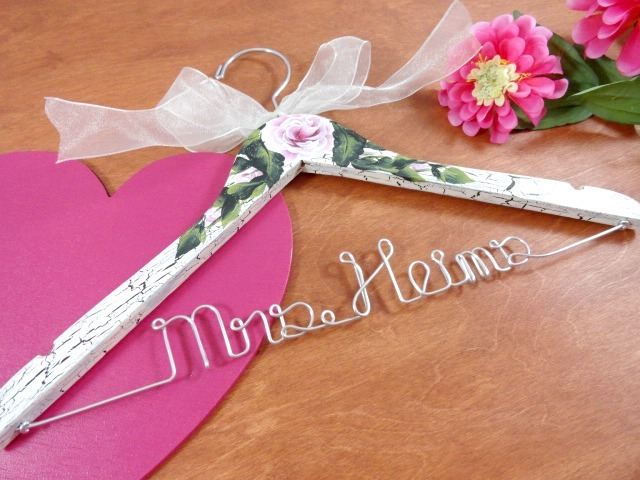 The first hanger the groom made a request for his bride. I think this is so sweet. I just love when the grooms contact me to make something special for the soon to be wife. My husband what never have thought to do this for me... 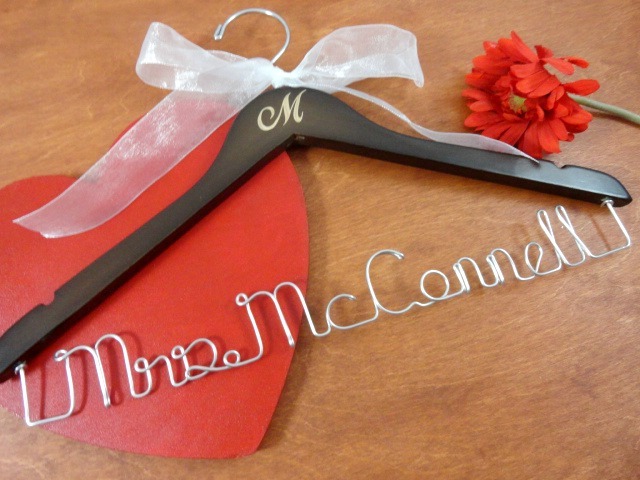 Anyway, he kept changing his mind and finally decided to go with a silver hanger, with his her name one one side and their wedding date on the other. The wire part would be her new married name. Then he requested pink and black polka dots with a hot pink ribbon. This is what he will be receiving. The next customer just wanted something simpler. They just requested a hydrangea and the date painting on their hanger. I think it ended up being very elegant. The final design for today is one that is really quite simple, but still makes a statement. It just states the date they became a married couple. Short and sweet. 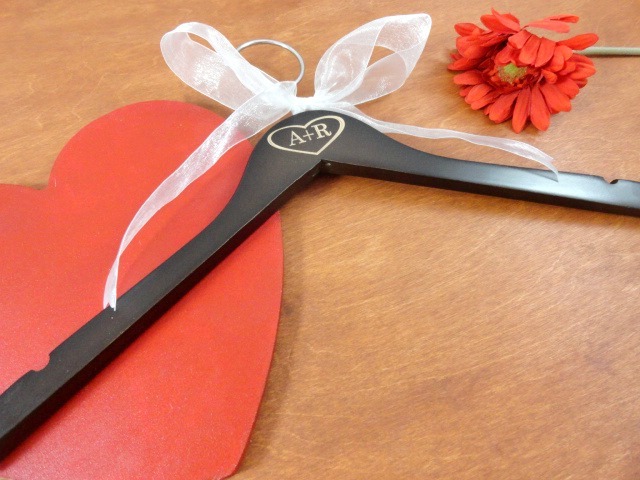 As you can see, there truly are a variety of designs and ways to make the hanger fit your needs. They are pretty even without any painting on them, of painted to the hilt. It really is just a matter of preference and what will fit the need for the occasion. I'd love to hear from you and your thoughts on these newest designs.